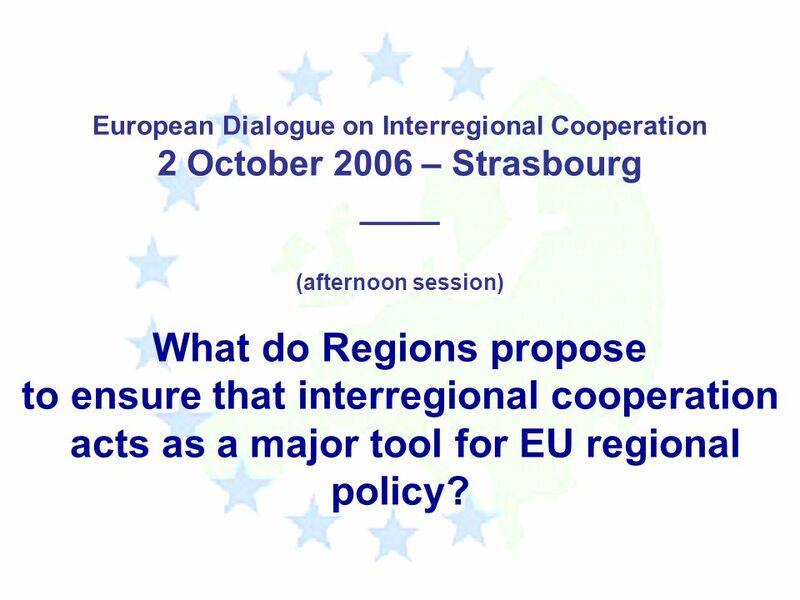 European Dialogue on Interregional Cooperation 2 October 2006 – Strasbourg ____ (afternoon session) What do Regions propose to ensure that interregional. 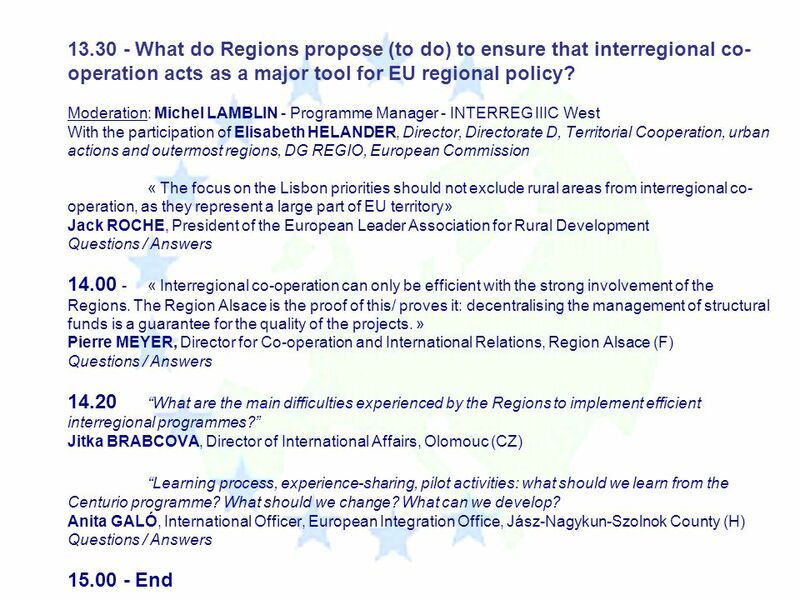 1 European Dialogue on Interregional Cooperation 2 October 2006 – Strasbourg ____ (afternoon session) What do Regions propose to ensure that interregional cooperation acts as a major tool for EU regional policy? 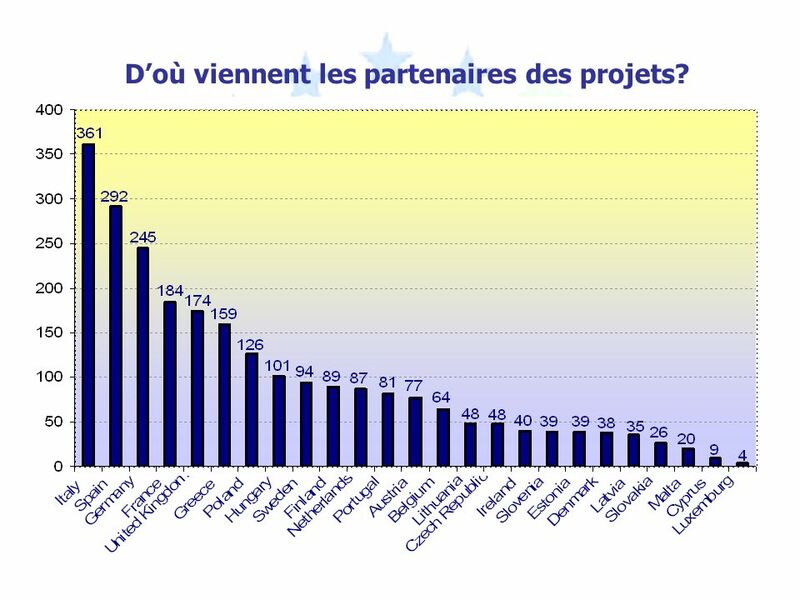 8 Doù viennent les partenaires des projets? 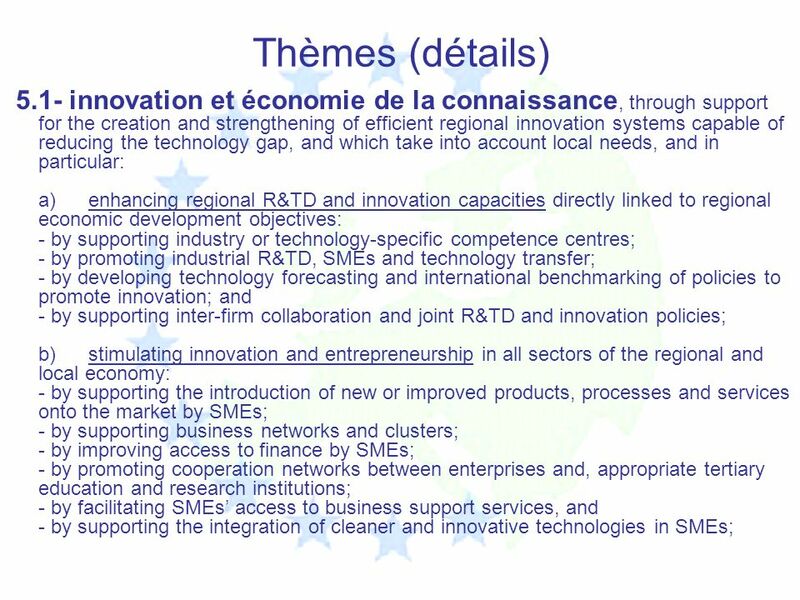 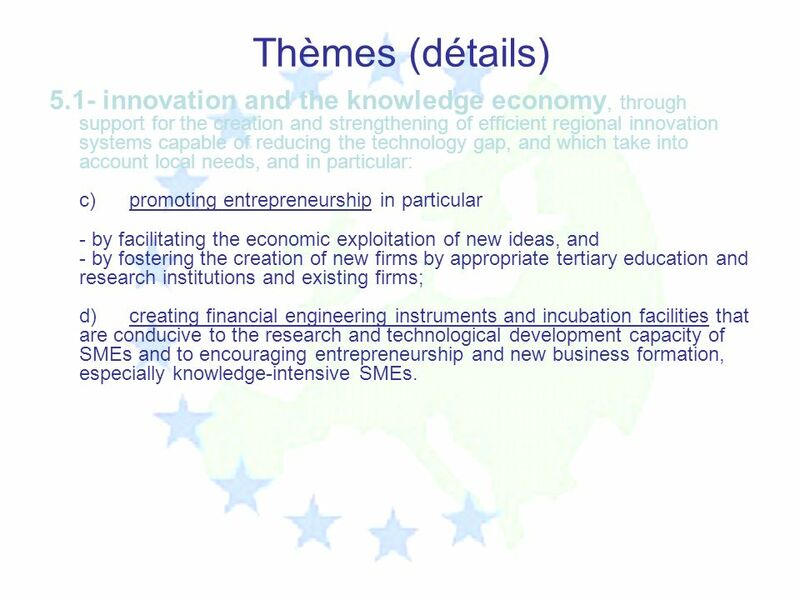 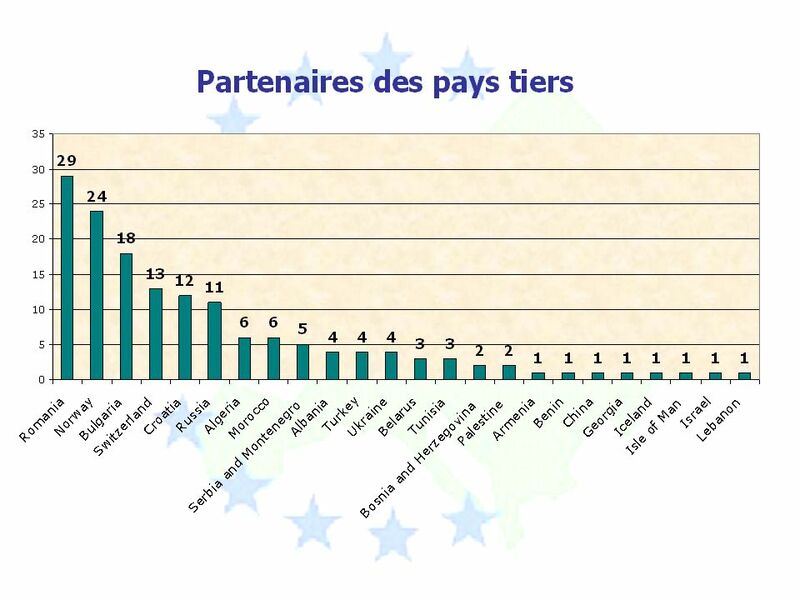 15 Thèmes (détails) 5.1- innovation and the knowledge economy, through support for the creation and strengthening of efficient regional innovation systems capable of reducing the technology gap, and which take into account local needs, and in particular: c)promoting entrepreneurship in particular - by facilitating the economic exploitation of new ideas, and - by fostering the creation of new firms by appropriate tertiary education and research institutions and existing firms; d)creating financial engineering instruments and incubation facilities that are conducive to the research and technological development capacity of SMEs and to encouraging entrepreneurship and new business formation, especially knowledge-intensive SMEs. 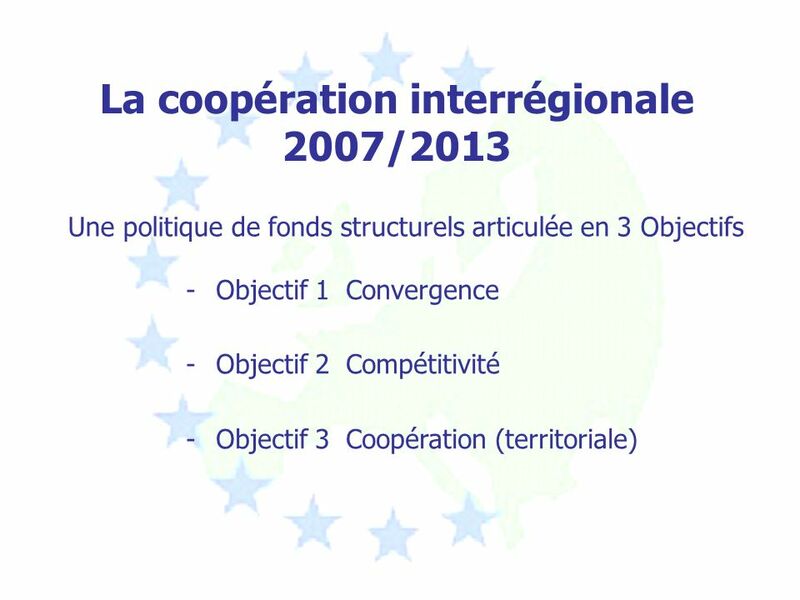 16 Thèmes (détails) 2) environment et prévention des risques, and in particular: a)stimulating investment for the rehabilitation of the physical environment, including contaminated, desertified and brownfield sites and land; b)promoting the development of infrastructure linked to biodiversity and investments in NATURA 2000 sites, where this contributes to sustainable economic development and/or diversification of rural areas; c)stimulating energy efficiency and renewable energy production and the development of efficient energy management systems; d)promoting clean and sustainable public transport, particularly in urban areas; e)developing plans and measures to prevent and cope with natural and technological risks. 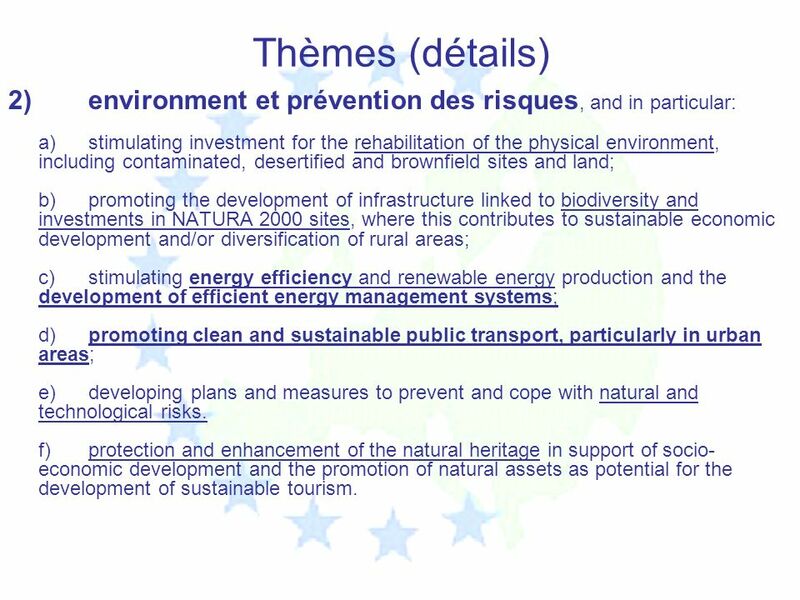 f)protection and enhancement of the natural heritage in support of socio- economic development and the promotion of natural assets as potential for the development of sustainable tourism. 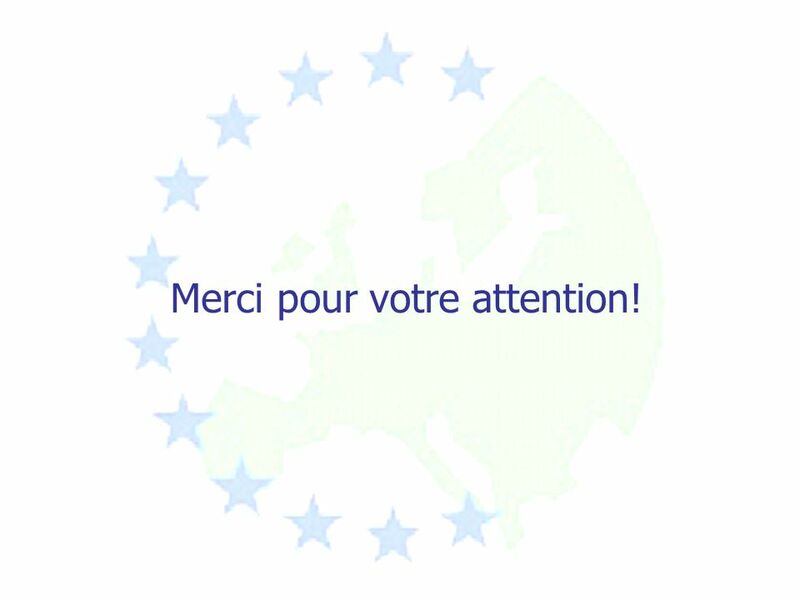 18 Merci pour votre attention! 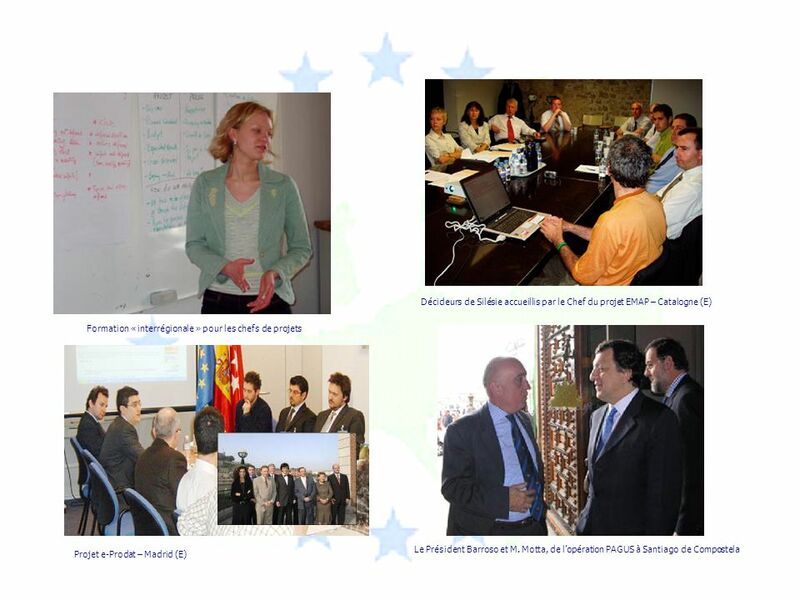 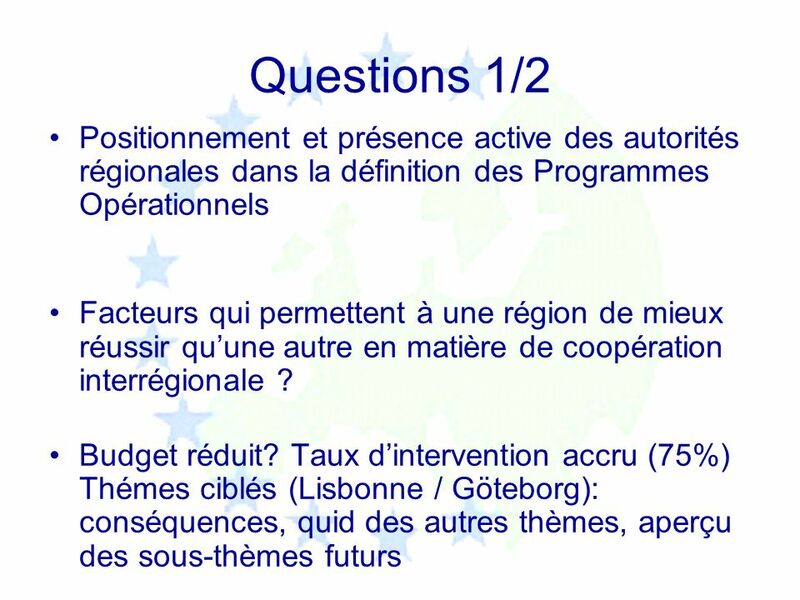 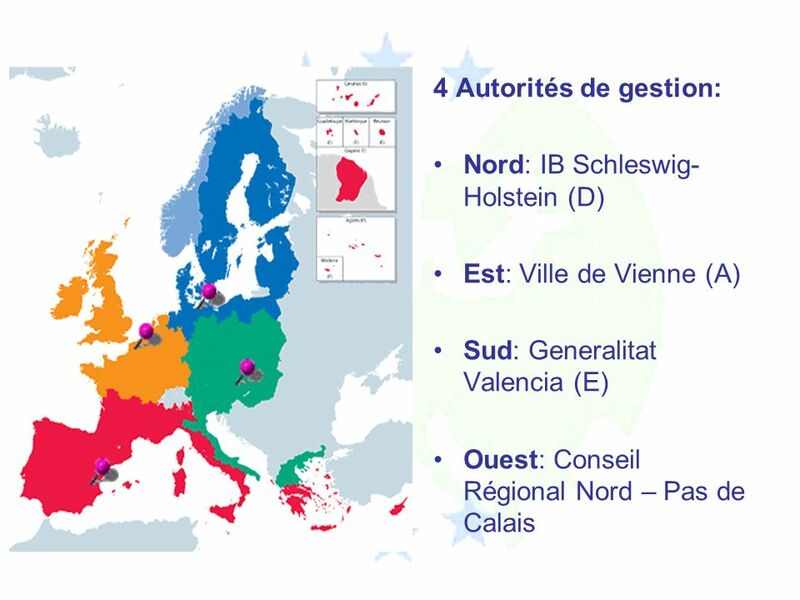 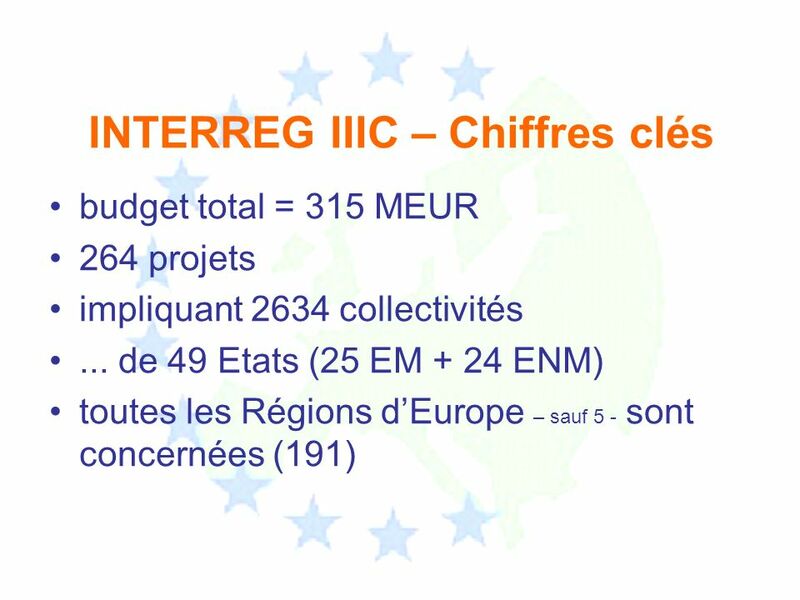 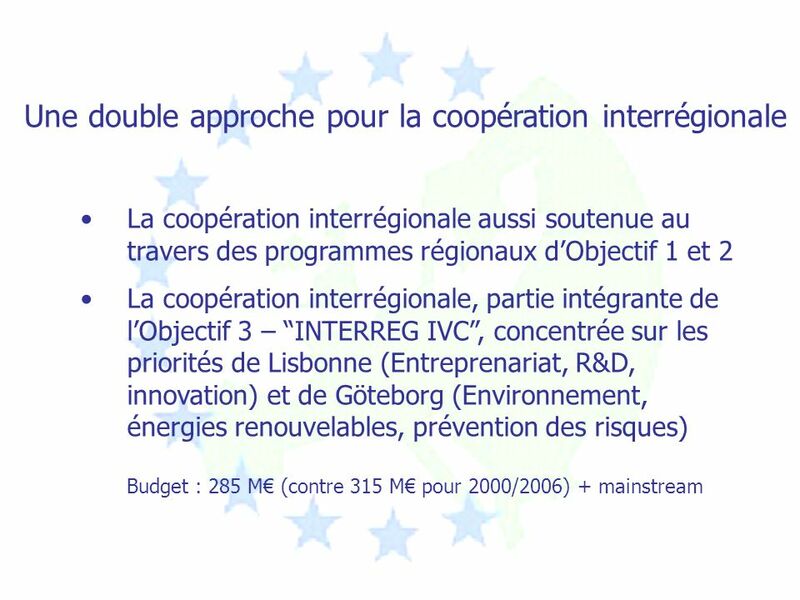 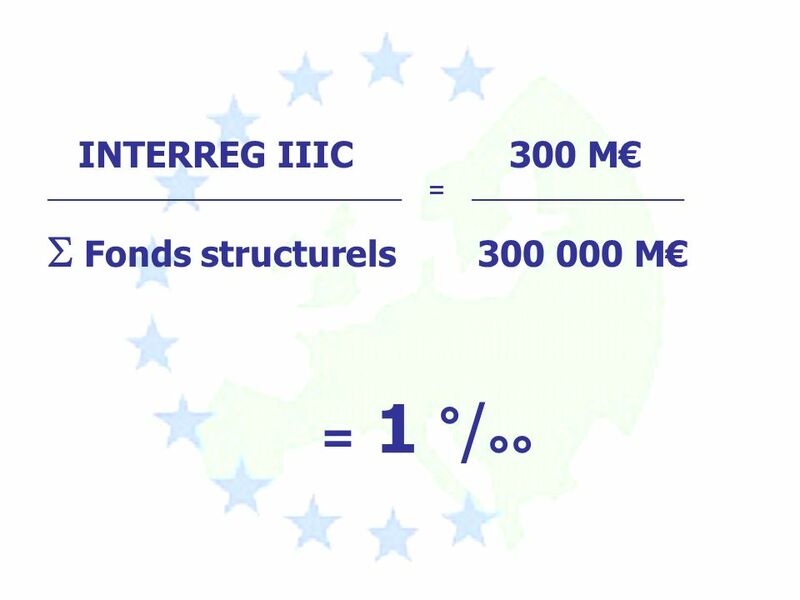 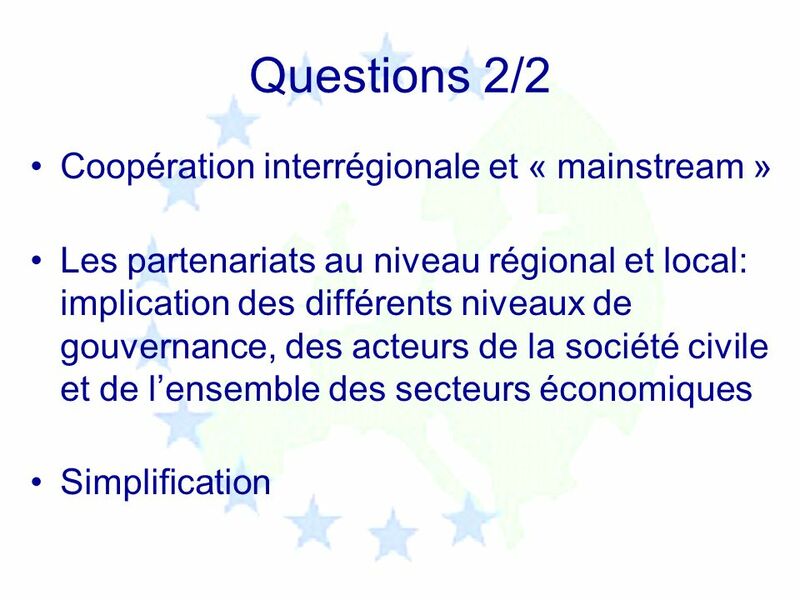 Télécharger ppt "European Dialogue on Interregional Cooperation 2 October 2006 – Strasbourg ____ (afternoon session) What do Regions propose to ensure that interregional."